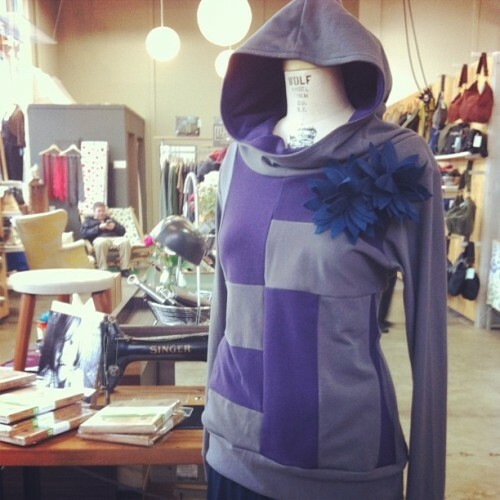 Upgrade your lazy-day-with-the-fam sweatshirt to this beauty from local designer Layers Squared. Cozy soy/organic cotton patched together with love right here in Portland. $130. Call to order (503) 232-1755.